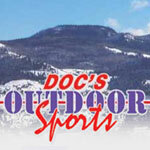 8200 Mountain Sports is the #1 outdoor store serving the area. Come browse through our huge selection of retail goods and equipment. You can also rent rafts, inflatable kayaks, inner tubes, SUPs and Jeeps in the summer. 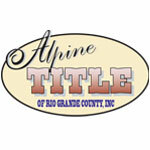 Full service Real Estate title and closing company; providing accurate, fast and friendly service. Notary services available. For sale by owner closings available as well. Luxurious inn in gorgeous riverside setting. Five guestrooms: private bath, sat. TV, DVD, Wi-Fi, mini fridge, microwave, coffee service, robes. Honeymoon suite: fireplace, whirlpool tub. Outdoor hot tub, picnic areas, fire pits. On-site fishing. Gourmet breakfast. NEW extended-stay vacation rental. Don’t just rent a room. Rent a mountain top! 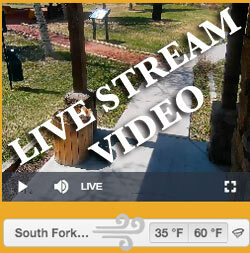 Nestled in the Rio Grande National Forest, we are South Fork’s newest large group lodging facility. Open Year Round. Great for weddings, family reunions, retreats, conferences, ski trips, and mission trips. Also offering summer Christian Youth Camps. Custom granite kitchen countertops, vanities, showers and more. Brooke-Stone is your one stop shop for your kitchen and building needs. Brooke-Stone, our guarantee is in stone! Our Mission is to help property owners stay in control of the condition, improvements, & maintenance of their property so they can enjoy the property they own. Summer cabin, permanent residence, investment property, or business we are here to help. Full service general law practice. Real Estate, Probate, Construction Law, Personal Injury, and Civil Litigation. 30+ years of practice. Rated pre-emienent by Martindale-Hubbell. D&G Cleaning offers general cleaning, hospitality cleaning as well as security checks. Security checks consist of such as watering plants, flushing toilets, checking for leaks and/or frozen pipes, picking up newspapers, cleaning as needed in getting your home ready for your return. Your True, Local, bank. 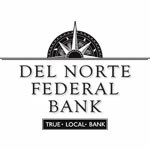 Del Norte Federal has been serving the community since 1921. We are a full service bank that is locally owned and can offer a full array of services. “Your prescription for outdoor fun!” We can fix you up for fishing, camping, hunting or hiking. Full line of t-shirts and ski clothing. Get your rentals for skiing, snowboarding, snowshoes and cross country skis. Largest inventory on this side of the mountain. Custom picture framing, lodge decor, unique gifts, green toys for children, floral arrangements, and Christmas all year! Here at EnB Janitorial LLC we believe that part of success in life is having a clean, healthy environment, and more time to focus on your work. We are here to help with that! A primary focus of EnB Janitorial LLC is treating our customers with respect, integrity, and clear communication. Fine Tuned Apparel specializes in custom digital printing. We require no minimum and can do full-color, high resolution printing on cotton-based textiles. We will print for your business, event, reunion, anything! Contact us for a free sample with your logo! The most complete, accurate and easy to use telephone directory in the San Luis Valley! 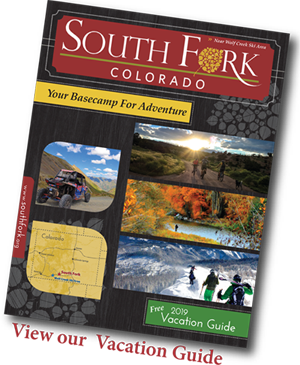 The Greater South Fork Community Foundation is a philanthropic group of people dedicated to enhancing the quality of life in this beautiful part of Southern Colorado. We strive to identify the needs of the community and to implement programs and provide grants to fulfill those needs.